Explore the holy temples and roam through the green rolling hills of the North! Travel from Delhi through the verdant hills of Himachal and holy temples of the Northern area with this tour package. We’ll take you around to experience the glorious nature and historical charm this region has to offer. In cities like Amritsar you will not only see the Golden Temple, but also visit a local market and learn how people live. In Dharamshala, we’ll explore the tea gardens, monasteries and the Dalai Lama temple. Indeed, throughout the 15 days we will visit all the must-see temples and historical sights. Whether its exploring holy cities, wandering through lush greenery, discovering local delicacies, meandering through markets—this region is awaiting to be discovered! Our mission is to improve the quality of lives in the communities where we work. Like all of our tours, 80% of the profits fund Reality Gives, our education NGO based in Dharavi (Mumbai) and Sanjay Colony (Delhi). Thank you for supporting our programs by signing up for the tour! Arrive in Delhi and check in to your accommodation. There are no activities this day, so enjoy exploring the city on your own. In the evening, your guide will come to greet you in the hotel lobby. Over a welcome dinner, your guide will go over the itinerary for the next 15 action-packed days! On Day 2 we will travel together to Sanjay Colony, a small slum built on 25 acres of land located in the south of Delhi near the Bahai Lotus Temple and Iskcon temple. Learn about working and residential life and witness how despite the challenging living conditions it remains an area charged with positive energy and strong community. You will also learn about the NGO programs directly supported by the visit. Afterwards, we’ll pay a visit to Swaminarayan Akshardham temple. The rest of the day we’ll continue with some tour options or sightseeing. Morning travel to Amritsar on Day 3. Amritsar, home to the Golden Temple also known as the Harmandir Sahib, is one of India’s holiest sites. We’ll arrive late afternoon and check into your hotel. Afterwards, we’ll visit the Golden Temple, which is the spiritual capital of Sikhism and Sikhs’ holiest place of worship. Then you can spend your time wandering around the market alleys, discovering the local Punjabi delicacies. On Day 4, we’ll stop by Jallianwala Bagh, a public garden in Amritsar and learn about its national importance. Afterwards, we’ll head to the India-Pakistan border to witness the daily flag ceremony, a national show of bravado that military forces of India and Pakistan have engaged in since 1959. Today in the morning, we’ll travel from Amritsar to Dharamshala: the journey through the mountains today is an adventure in itself. Enjoy the drive along bumpy, winding roads to Dharamsala, also known as McLeod Ganj. Strung with prayer flags and busy with robed monks strolling between monasteries, this hilltop retreat is home to the Dalai Lama and the Tibetan government in exile. Spend the evening wandering the peaceful streets, which are set to the backdrop of the Himalayas. We’ll spend the say exploring McLeod Ganj, visiting the iconic Dalai lama Temple. 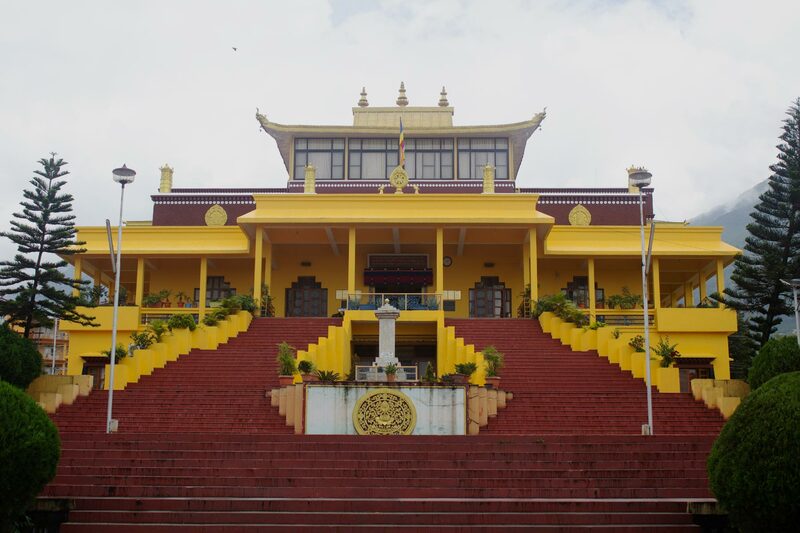 The Dalai Lama visits this temple a few times every year to preach and bless; this temple is located near the residence of Dalai Lama. The temple is also an important pilgrimage spot. The most important feature of this temple is the morning ritual. We will also pay a visit to tea gardens and monasteries in the area. Day 6: Dalai Lama temple, tea gardens, monasteries. We will arrive in the town nestled amidst rolling green hills–Shimla–by night. Upon arrival you’ll get an orientation walk. The next morning we’ll begin a grand sightseeing tour: we’ll start on Mall Road, Shimla’s most popular shopping stretch. Then we’ll proceed to stop at a viewpoint that provides sweeping views of the Himalayas. Set among rolling hills, Shimla also offers an array of nature walks that range from gentle to challenging. We’ll take you to the Viceregal Lodge to witness where the partition agreement between India, Pakistan and Bangladesh was made. There are several more options for us to explore: whether we take you to mingle with the entourage of monkeys milling about Jakhu Temple or show you around Lakkar Bazaar. We’ll set off early in the morning for our drive to Chandigarh; we’ll reach by late afternoon, check-in to our hotel and relax. The next day, will be a day to experience what Chandigargh has to offer. In the morning we’ll pay a visit to its famous and quaint Rock Garden: a 24 acre property full of sculptures. The Chandigarh Capitol Complex, a Unesco World Heritage Site, must not be missed. Designed by Swiss-French architect. Le Corbusier, The Capitol Complex is comprised of the Punjab and Haryana High Court, the Palace of Assembly, and the Secretariat, as well as the Open Hand Monument. Within the grand complex, bodies of water and smaller buildings and structures can be explored. Today will be your first glimpse into Rishikesh: a city nestled in the Himalayan foothills beside the Ganges River. Here we will embark on a night walk to explore its ghats in the evening. 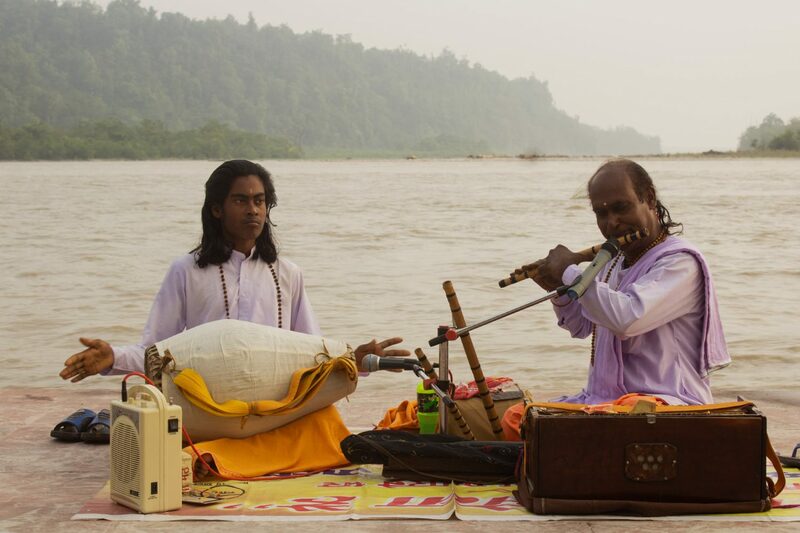 Aptly named the ‘Yoga Capital of the World’, Rishikesh is a fantastic place to relax and seek a little enlightenment. This is a place where an almost supernatural energy emanates through the valley, where pilgrims and tourists alike come together for its nightly ganga aarti (river worship ceremony). We can arrange for you to engage in a quick lesson to learn how to play classical Indian instruments such as the sitar or tabla. We also highly recommend joining a session of Hasya yoga (laughter therapy). Or you could simply take time to enjoy the surroundings, engaging in a day of meditation. 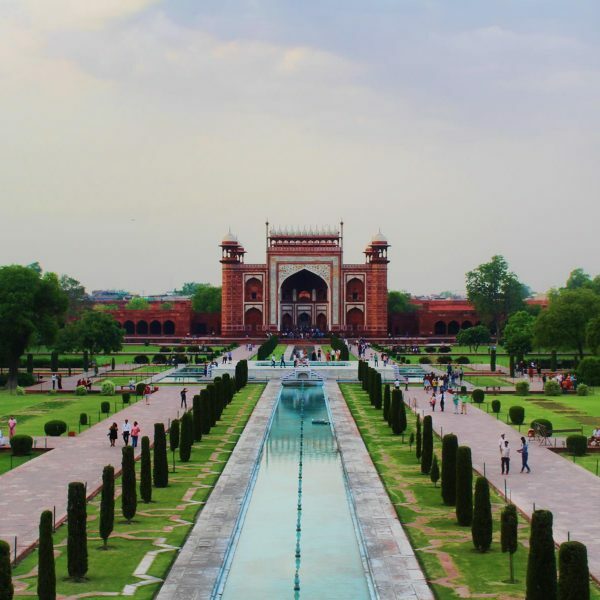 Delhi is a vibrant city with an unbelievable amount of history, and how you want to explore it is largely up to you. We’ll arrive in the early afternoon and after we check into our hotel, we’ll set off by car on a whirlwind orientation and sightseeing tour. This evening the trip will sadly come to an end, so we’ll enjoy a farewell dinner together. We start the tour in Delhi, with a visit to the Sanjay Colony community. While India is a country with a rich history and fast growing modern economy, it still faces a plethora of social issues. We’ll also do a sightseeing tour of Delhi’s best sights! Visit the holiest site in Sikh religion: the glorious Golden Temple (also known as Harmandir Sahib). As the central worship place for Sikhs around the world, pilgrims from all over come to pay their respects. 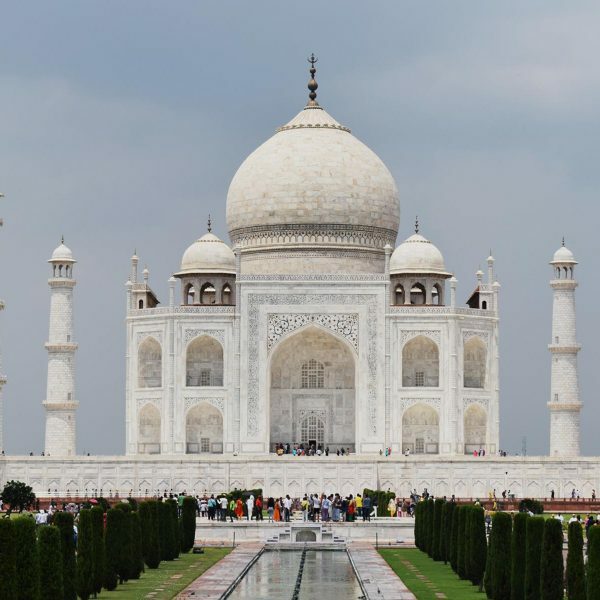 Stroll around the beautiful structure of white marble and gold leaf. 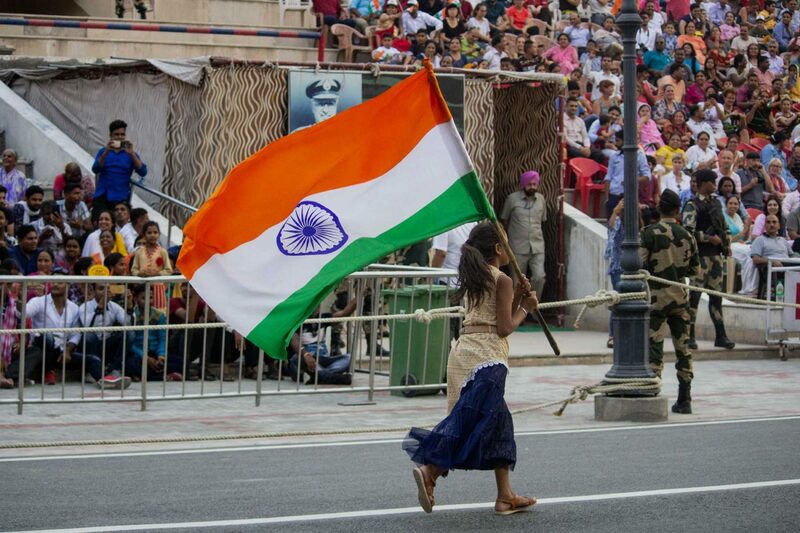 The daily lowering of the flags ceremony at the Wagah border, between India and Pakistan military forced, has been practised since 1959. Experience the patriotic displays of bravado from both sides! Participate in the roaring, chanting and cheering from both sides. It’s a fascinating ceremony, one unlike any other show of nationalism you’ll experience. Encased by forested greenery, thriving on the edge of the Himalayas, Dharamshala is home to the Dalai Lama and the Tibetan government-in-exile. Explore the hill-station’s monasteries, tea gardens and temples aplenty. Shimla is the capital and largest city in the state of Himachal Pradesh. Once the summer capital of British India, Shimla is home to Victorian architecture and maze-like bazaars. As a pedestrian friendly city, you’ll enjoy strolling through its winding streets and taking in its serene, mountainous views. Located in northern Uttarakhand–encircled by hills, cleaved by the holy Ganges river, Rishikesh is the perfect place to unwind. Most commonly known as the global ‘Yoga Capital,’ Rishikesh is home to yoga enthusiasts and ashrams aplenty. This is your chance to engage in meditation and yoga practice from the masters. Can this tour be customised? 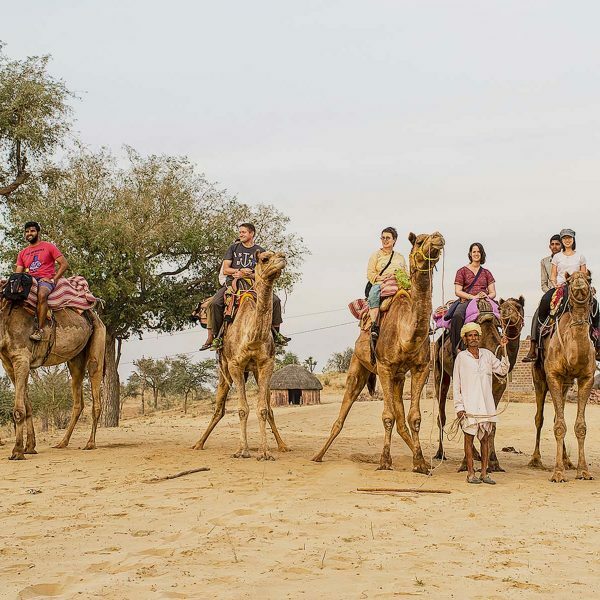 At present all our tours in Rajasthan are of fixed itinerary and duration. Unlike many operators we directly arrange all the tour services ourselves without using any agents. This makes sure we are confident in the quality of the service offered and allows us to focus on our unique local community connections in the areas visited. Yes, we do offer private tours, but the price will need to be increased accordingly. Please get in touch for a quote! 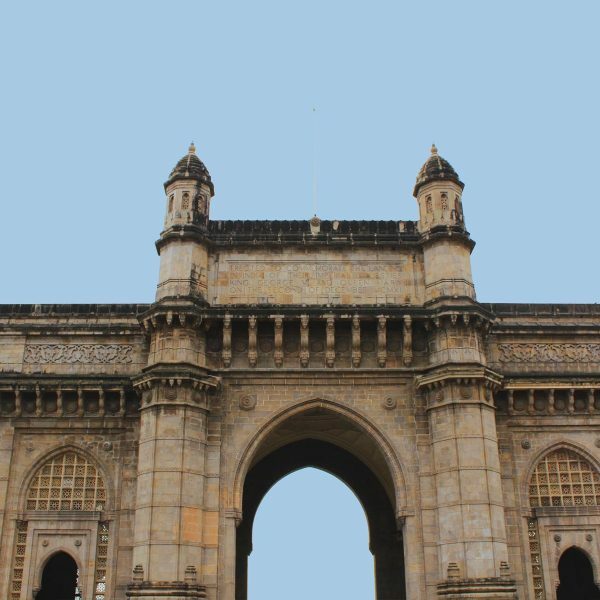 Mumbai has an international airport (Chhatrapati Shivaji International Airport). Domestic flights from Delhi and other major Indian cities are also available. Is there a minimum or maximum number of people to run the tour? Our minimum group size is 2 and maximum is 12. We stay in well-appointed mid range hotels, locally owned where possible. All hotels have hot water and most have Wi-Fi. Single passengers will share a twin room with another group member of the same gender if required. You are welcome to pay extra to ensure you have a room to yourself throughout the trip – please get in touch for costs. Upgrades to 4* accommodation are available at an additional cost. The tour includes various meals including breakfast in the majority of our overnight hotels, several lunches and dinners. Are all of the activities included? The package includes several activities and entry fees. We also have additional suggestions for activities that aren’t included in the tour price. Please see the itinerary tab to see the included and optional activities. How does payment work? Can I pay online? A deposit payment of 20% is required. Full payment is then due by at least 60 days before tour departure. Advanced payment is necessary to confirm the booking and can be made by paying by bank transfer or by using our online card payment system. Can we do any dates not on your website? Yes absolutely! Our tours are minimum 2 people but for private tours we can look at providing dates that completely suit you. If you are interested in a shared tour we can often also still offer your preferred dates, guarantee the tour and invite other passengers to join. Do you arrange international flights? All our tours ensure easy international and domestic flight connections before and after the tour. We do not arrange therefore but if there are any flights within your tour itinerary we do organise these and they are included within the tour cost. All of our nearest arrival airports offer pre-paid, safe and simple taxi options to your start hotel. So we prefer to provide detailed information on this in advance rather than charge you extra unnecessarily like some operators!